Privileged Access Management (PAM) refers to a set of technologies designed to mitigate the inherent risks associated with the privileged user accounts of administrators and super-users. By providing full control and visibility of the sensitive, daily tasks of such personnel, an effective PAM solution can greatly reduce the risk of attack, while helping to ensure compliance with the relevant regulatory standards. 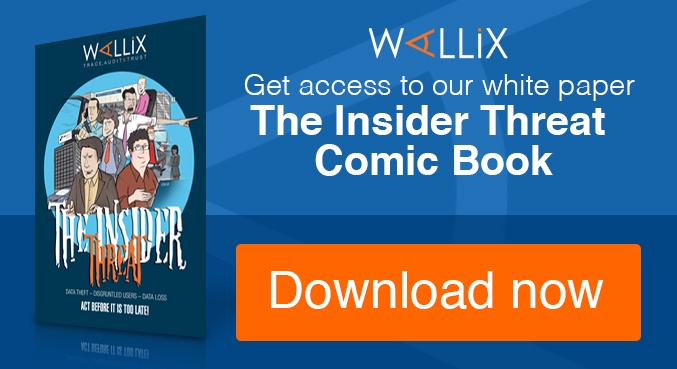 Through a centralised authentication module and an embedded certified vault securing each accounts passwords, Wallix AdminBastion Suite can limit, internally and externally, the systems users connect through their WAB Access Manager portal with no need for target password. WAB Suite also allows administrators to save the recording of required sessions, which can be analysed to determine the operations performed on target devices, and therefore identifying suspicious events. WAB suite is an all-in-one solution enabling businesses to protect themselves against a multitude of attacks, by securing and monitoring highly targetted privileged accounts. When potentially so many external service providers are involved in the management of core information systems, WAB Suite allows IT departments to act quickly, reducing the risk of leakage via its rich functionality, whilst offering cost effective deployment. Without compromise, WAB Suite also delivers integration with existing automated IT systems whilst for many companies maintaining the appropriate regulatory standards (ISO 27001, SOX, Basel II etc.) to achieve the highest levels of compliance. Vulnerabilities are caused by weaknesses in the control and monitoring of the privileged accounts that are made available to administrators, super users and external service providers. Shared accounts and negligent passwords make it particularly difficult to revoke access for users who no longer need it. Irrespective of the size of the organisation, this area represents the greatest risk to its posture. Information security professionals are facing a loss of control over an ever-growing number of users with privileges for which they are unable to monitor usage. Most businesses use a variety of devices to provide authenticated user access to privileges on core information systems (IPSEC or SSL VPN, leased lines, internal developments etc.). However, these solutions have many disadvantages such as low granularity of rights, the need to systematically transmit users passwords for the account used on the target device. Reporting failure is critical to the demands of regulatory reporting. Indeed, these solutions are mostly to provide a log of connections but do not know exactly what actions are performed during each session. WAB Suite goes beyond the log to deliver clear recorded video of critical sessions. Ask the question of those around you “are we secure from the inside of our business out?”, making sure you have a solution in place to control, monitor and audit privileged accounts has just taken pride of place at the head of your to do list. The challenge is finding an all-in-one solution that is robust enough to deliver but also can be deployed quickly and requires no agent distribution across your infrastructure. 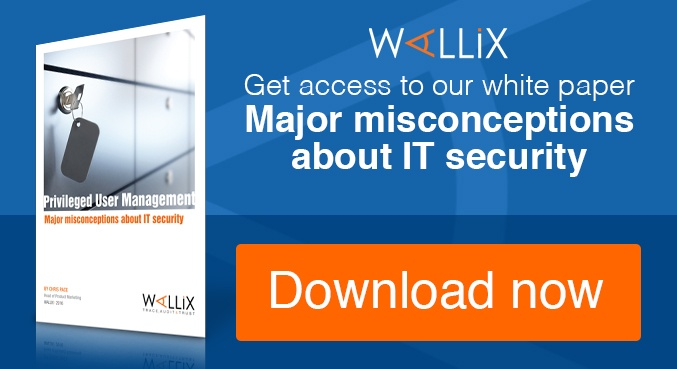 At Wallix we believe our WAB Suite offers that complete solution to control, manage and audit who has access to what where and how. 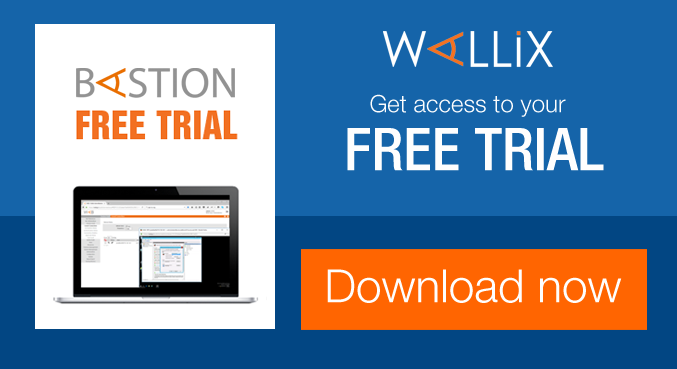 Click below to discover the full potential of our Wallix AdminBastion Suite or visit www.wallix.com.